AmWINS Group has announced several new hires and promotions. AmWINS Specialty Logistics Underwriters (ASLU), a managing general agency specializing in the logistics and cargo industry, has hired Herman Cruz as senior vice president. In addition to his role as an underwriter, Cruz will serve as head of retailer relationships and will be headquartered in Chicago. Cruz has more than 30 years of industry experience, with expertise in ocean marine, inland marine and transportation-associated risks. AmWINS Access, meanwhile, a binding platform for small property and casualty business, has appointed Scott Sauter, Debbie Anderson and Jeremy Bright to its personal lines team and Mike Ramirez to its P&C binding team. Sauter joins AmWINS Access from Canopius. He had 14 years of E&S experience with both MGAs and carriers, including Burns & Wilcox, All Risks, AIG and QBE. He will be headquartered in Downers Grove, Ill.
Anderson has more than 28 years of industry experience. She has held positions with Great American Insurance and Colonial General as a personal lines underwriter and marketing representative. She will be based in Salt Lake City, Utah. 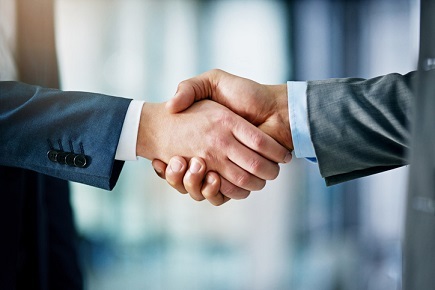 Bright joins AmWINS Access from Johnson & Johnson Insurance. He has more than eight years of E&S and admitted personal lines experience. Bright will be based in Athens, Ga. Prior to joining AmWINS Access, Ramirez worked at RMS Hospitality Group. He began his career at CRC and has also previously worked on a brokerage team at AmWINS. He has held underwriting positions at Colony, Endurance and IIC. Ramirez will be based in Camp Hill, Pa. Finally, AmWINS Brokerage has promoted Josh Ammons and Andrea Dickinson to branch leadership roles. Ammons has succeeded Doug Sanders as branch leader of AmWINS Brokerage of the Carolinas in Charlotte, SC. Dickinson has succeeded Bill Markin as co-branch leader of AmWINS Brokerage of Tennessee.